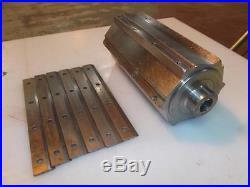 Urschel Parts for Model M or M6 (interchangeable). 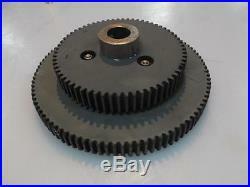 (1) 45111 and 45112 Pulley/gear combo plastic. (1) 45202 6 blade SS 1/2 crosscut knife holder (no number stamped on it) Knives are 45088 (6 knives avail). 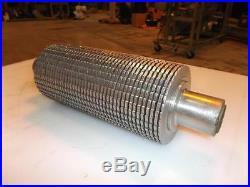 (1) 45212 SS feed drum. 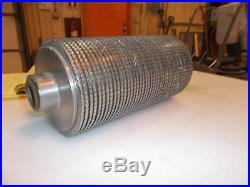 (1) 45278 SS feed drum larger dia. 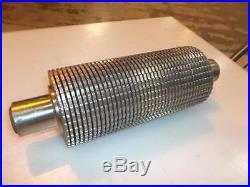 (1) 16390/45129 SS 22 blade circular knife spindle assembly. 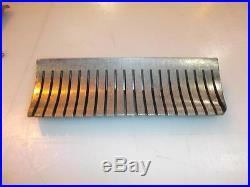 (1) 45325 SS stripper plate. 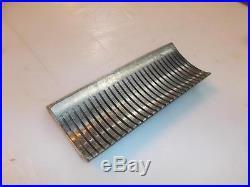 (1) 45240 SS stripper plate. 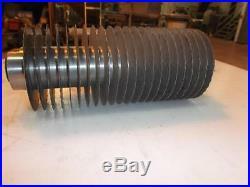 (1) 45326 discharge chute extension cover. 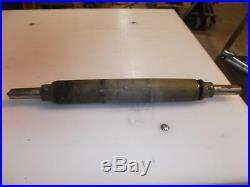 SS shaft with brass collars and roller. 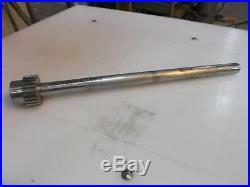 (1) 45116 SS gear and shaft. (1) 45114 SS gear and shaft. There is over 11,000 in new cost. You will get everything on the list. We can only put up 12 photos but we have photos of every part. Last used in the food industry. The item "Urschel Parts for Model M or M6 (interchangeable)" is in sale since Tuesday, April 26, 2016. 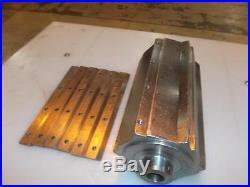 This item is in the category "Business & Industrial\Manufacturing & Metalworking\Process Equipment\Other Process Equipment". 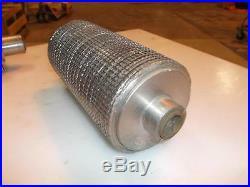 The seller is "superlarry" and is located in Oshkosh, Wisconsin. This item can't be shipped, the buyer must pick up the item.